Does your school or setting need inspiration and some fresh, innovate ideas? Well, here at Childcare Expo, we hold an array of exhibitions, including a primary school event that will help practitioners and teachers. We can help you improve the education of young children. To find out more about our exhibitions, give us a call on 01425 838393. 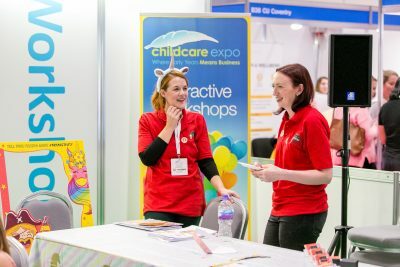 Here at Childcare Expo, we host a range of exhibitions in London, Manchester and the Midlands throughout the year. We welcome visitors from all avenues within the childcare sector with the aim of providing crucial information, tips and resources. As well as having numerous speakers and seminars, we also put on primary school workshops. Each one of our Expo events is full of life, with plenty to see and do. If you are representing a school, nursery, a childminding business or any other setting, you are sure to find the information you need. If you attend a primary school event, there will be plenty of professional organisations to speak to for advice and inspiration. Attending one of our Childcare Expo events means that you will have the chance to be part of primary school seminars. Each one is reasonably priced and full of information. We aim to encourage our visitors to improve their current setting. We also welcome interesting debates, which will also lend to boosting your educational system. There will be plenty of opportunities to listen to experts in the field through seminars and presentations. Here at Childcare Expo, you will also be able to be hands-on in our primary school workshops. We will have experienced industry experts leading the workshop, but you will have a chance to get involved. If you decide to join us, you will be able to attend primary school seminars, and the like, for free. You will also have a link back to your own website on Childcare Expo. Plus, you will be given lunch and refreshments at whichever event you choose to attend. Why Does Our Primary School Event Stand Out? The beauty of Childcare Expo is that there are so many elements to it. Our mission is to educate and inspire, which is why we have a variety of experts from the industry to inform and encourage our visitors. Events, including our primary school workshops, are all designed to give practitioners and teachers new skills to take back to their establishments. The most important thing is for our youngsters to thrive, which is why visitors can hear from an array of different exhibitors and organisations. Our team at Childcare Expo encourage networking as it gets the wider message across. If you attend our primary school event, you will have an opportunity to learn new skills to take back with you. Keep in mind that we target all sizes of settings in the childcare sector. So, if you have a smaller budget than others, rest assured that there will be resources in your price range. It is important to give everyone a choice at our primary school event, even if they have a limited amount of money at hand. If you would like to learn more about our primary school event and all of the exhibitions that we host, then give us a call on 01425 838393. If you would like to register your interest in our events, then sign up online.